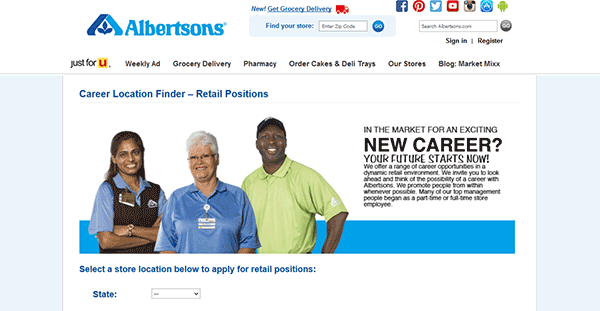 Use the guide on this page to learn how to search for current openings and apply for jobs in your area using the Albertsons job application. 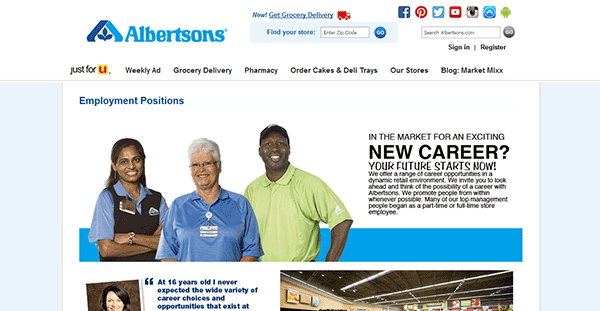 Albertsons is the second largest grocery chain in the United States (the company operates more than 2,200 stores across the nation). Several different job types can be applied for online including retail, management, pharmacy, corporate, and supply chain careers. 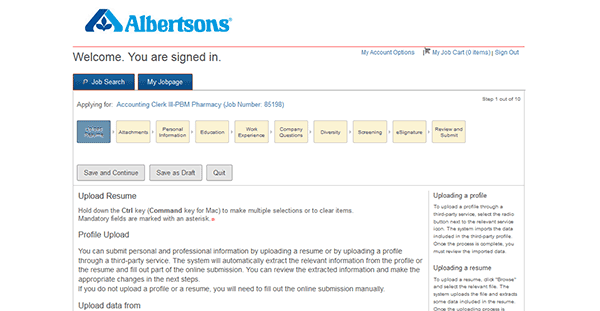 Step 1 – Click here to load the employment page (will load in a new tab/page). 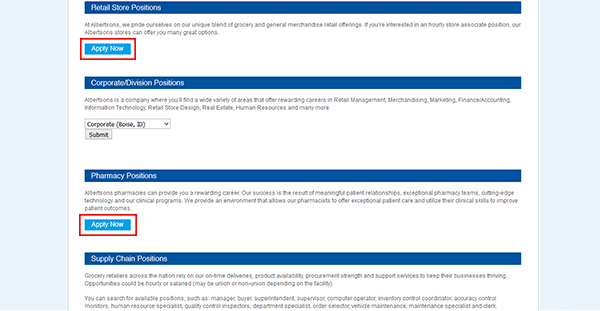 Step 2 – Scroll down the page and then click the “Apply Now” button under the job category you want to search. Note: The rest of this guide covers how to search for retail jobs. 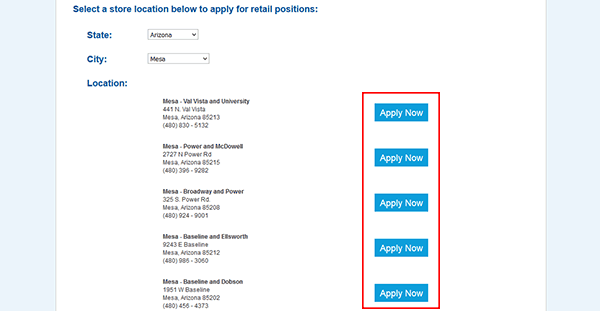 Step 3 – Select your state/city from the drop-down lists, and then hit the “Apply Now” button next to which location you want to submit an application to. You will be transferred to the main search page. 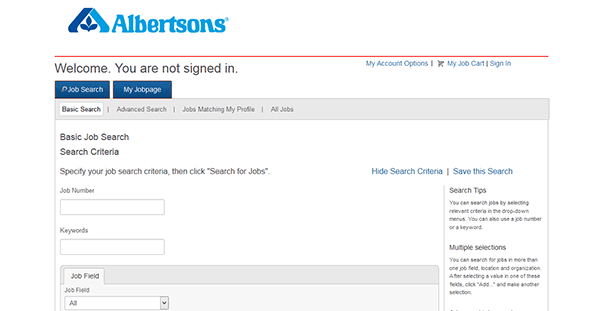 Step 4 – Filter the results by job number, keyword, job field, or location. Press the “Apply” button to when you’ve found a job that interests you. 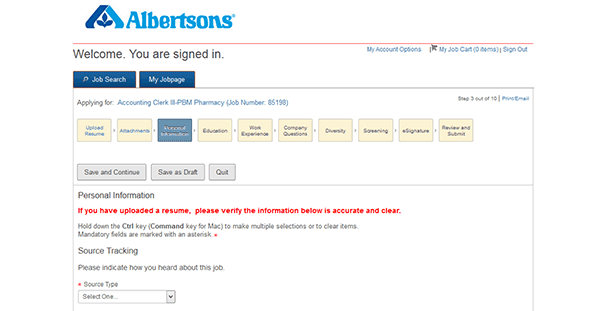 Note: You can also click the “Add to job cart” link if you want to submit an application for more than one job. 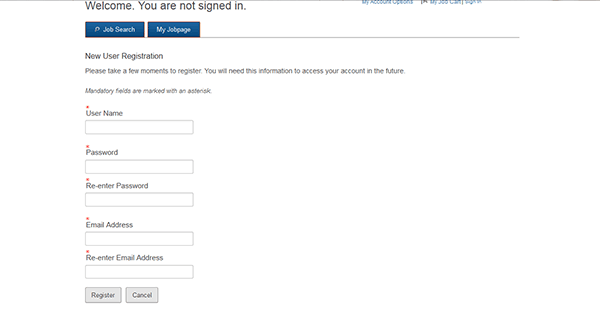 Step 5 – If you have an account enter your login credentials, otherwise hit the “New User” button under the sign-in form. Step 6 – Privacy Agreement – Accept the terms of the privacy agreement. 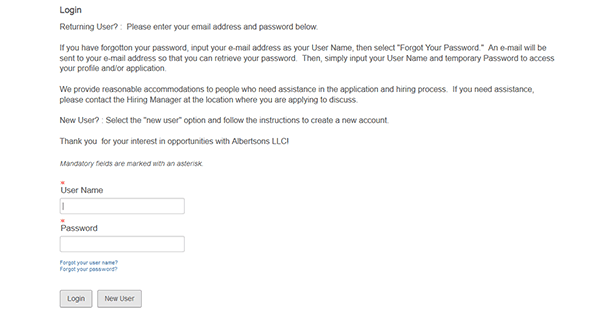 Step 8 – Upload Resume – If you have a resume use the form in this section to import your data into the application. Note: You can also import data from your LinkedIn or Indeed account. Step 9 – Attachments – If you have an relevant attachments/documents (cover letter, references, CV, etc. ), use the upload form in this section to load/save them into the application.